Is winter over yet? Anyone? Anyone? (Buller?). Ugh. 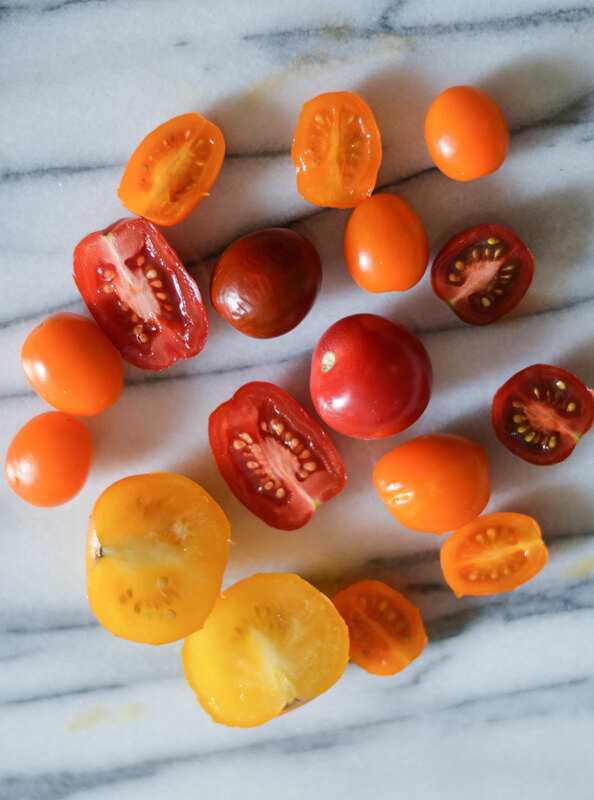 Dreaming of warmer days over here, which inspired this summery dish. Usually I’m all about cooking with whats in season but sometimes you have to transport yourself to a warmer climate via a good meal. SO happy with how this came out and I’m really in love with using white sweet potatoes as “noodles” these days. 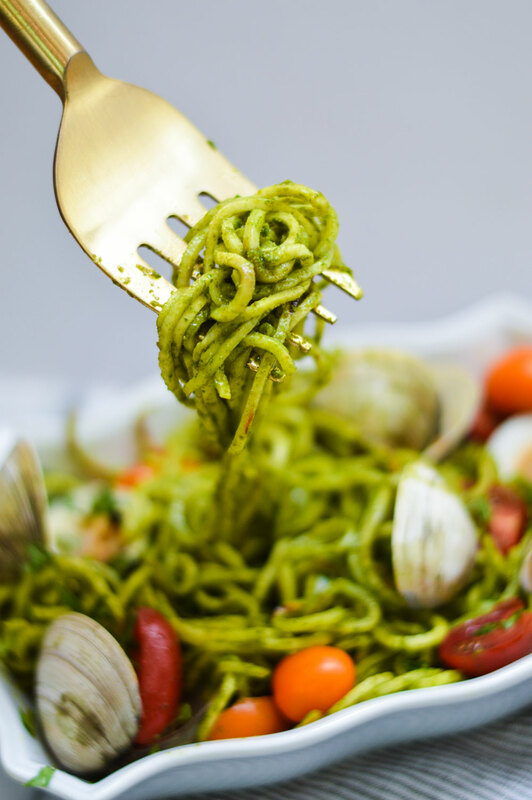 Since conventional pasta is obviously out in the grain-free lifestyle, the next best choice is zucchini noodles, because they spiralize so well. But for some reason, my tummy doesn’t love raw zucchini, which led me to find a good alternative. 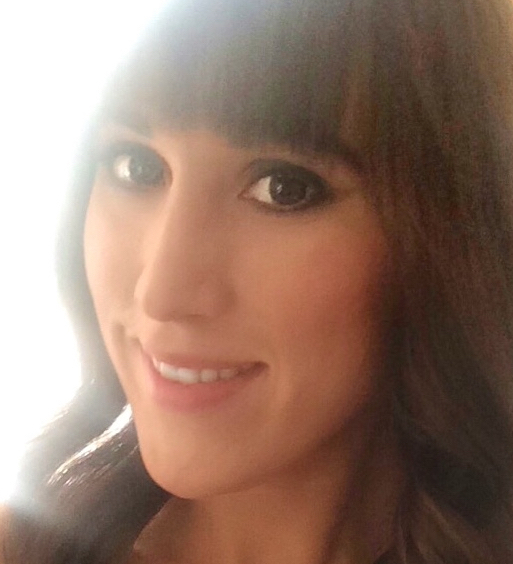 Hannah or white sweet potatoes seem to do the trick (while still keeping it Paleo). 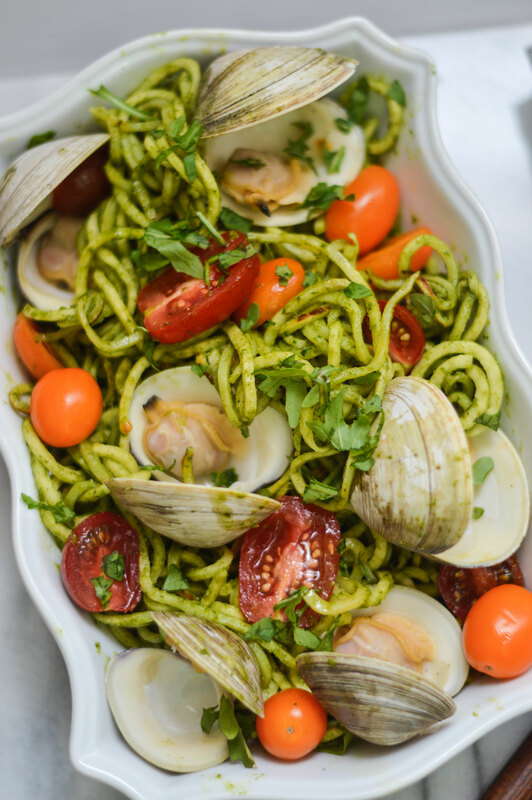 You could certainly use conventional pesto for this dish but I had a ton of arugula hanging around my fridge, thus, this sauce was born and it has a lovely peppery quality in addition to the expected basil. Add some little neck clams and you’ve got your self a nice little meal full of healthy fats, that’s almost fully raw = nutrient dense. Not a bad deal! 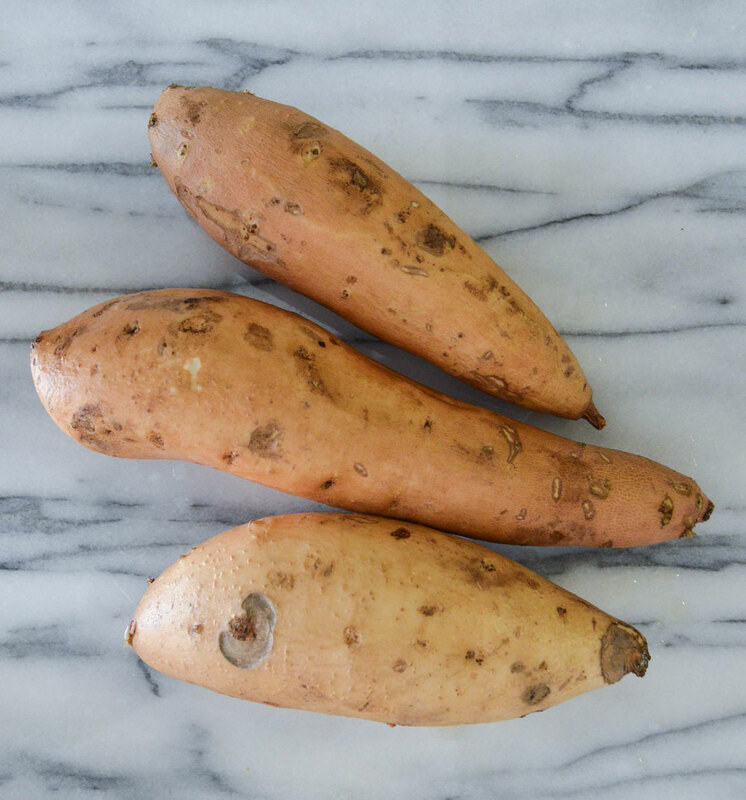 Try to choose sweet potatoes that are as thin and long as possible. 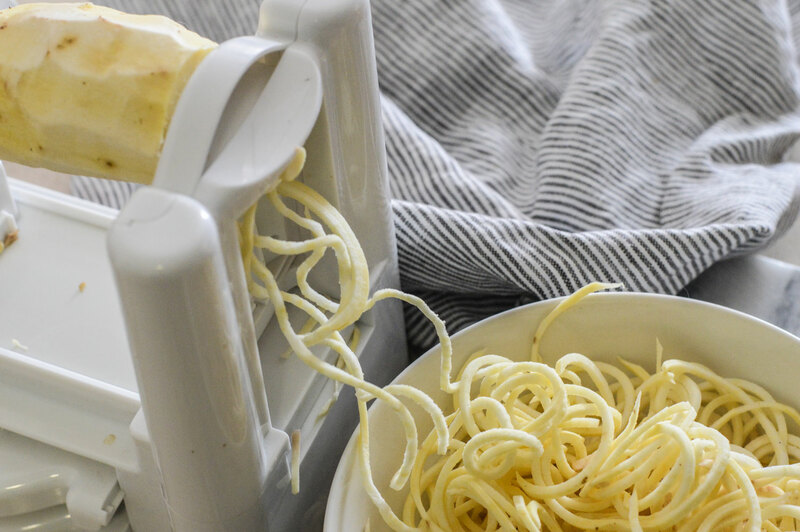 It will make for easier spiralizing. Break out your Spiralzer (I love THIS one) and use the 3mm blade. 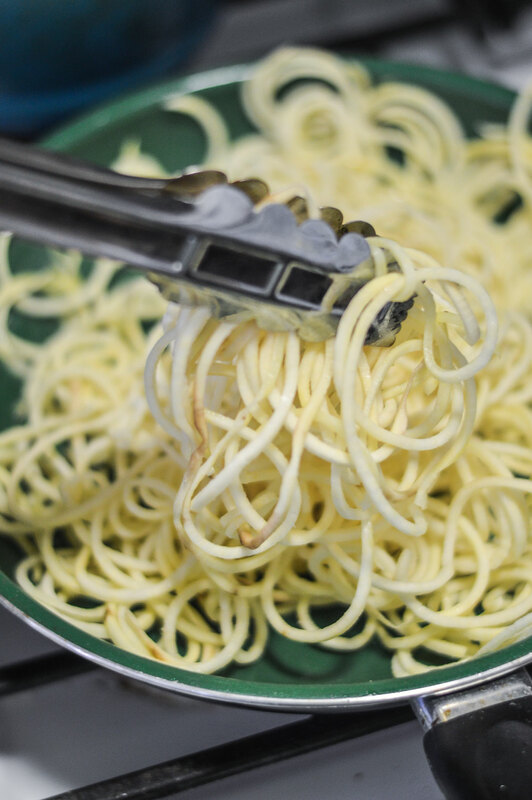 Coat your “noodles” in a good layer of olive oil and transfer to a frying pan and heat on medium for about 5 minutes until they are softened but not mushy, otherwise you’ll end up with something akin to hash browns. 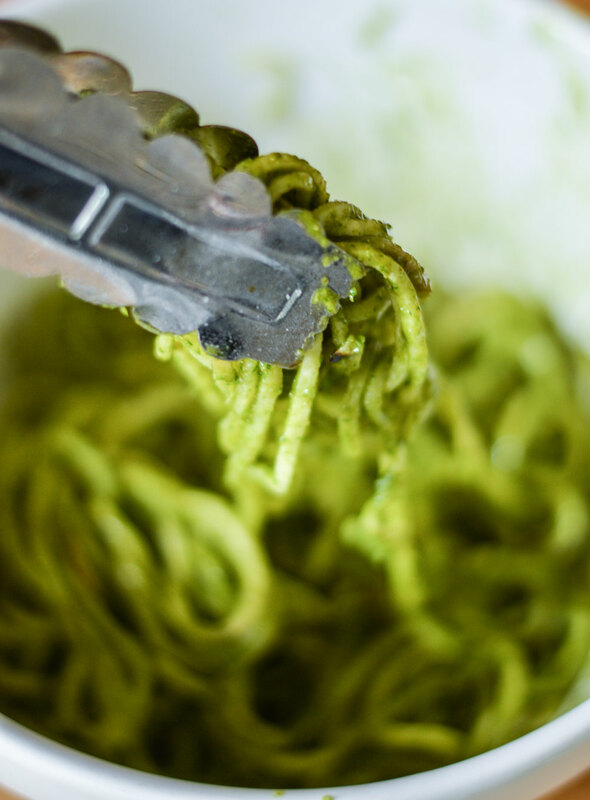 Remove and set aside, then get your pesto gear all wrangled up. Alright, this is where I got a bit lazy. I could have easily whipped up some fresh pesto, but Whole Foods didn’t have any pine nuts available. Interestingly, there is plenty of fresh, store-made vegan pesto in the deli section, so there’s got to be pine nuts floating around that store somewhere! WTF? Why you gotta be hiding the pine nuts Whole foods? Anyhow, Make your own, purchase some pre-made, whatever. 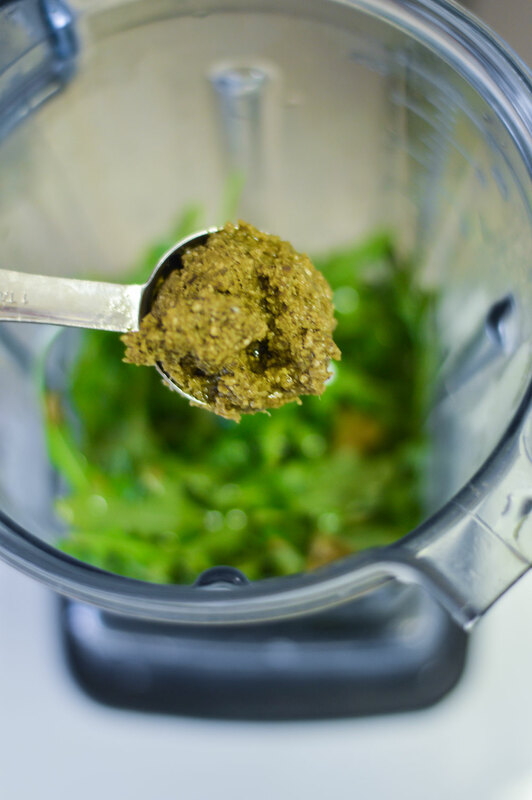 2 tablespoons, 2 cups fresh arugula, and a 1/2 cup olive oil in a blender or food processor will give you a lovely sauce. 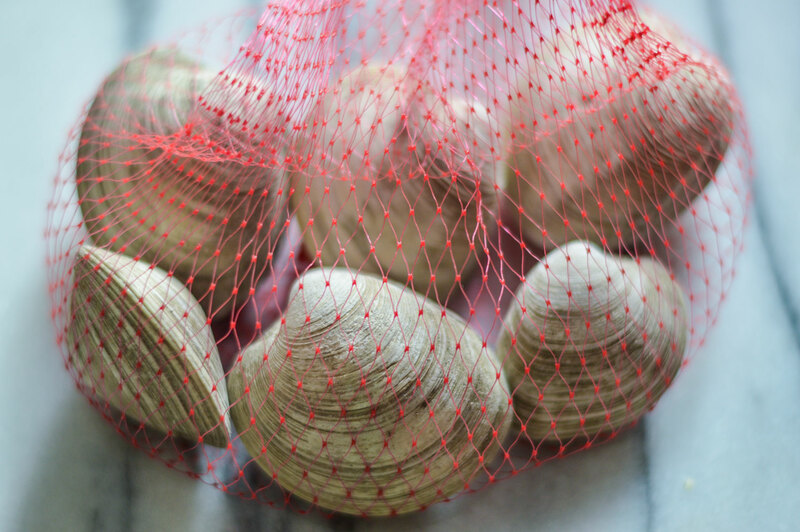 Rinse and scrub your clams in cold water, then steam in a pan of water on high until the clams are open and fully cooked. 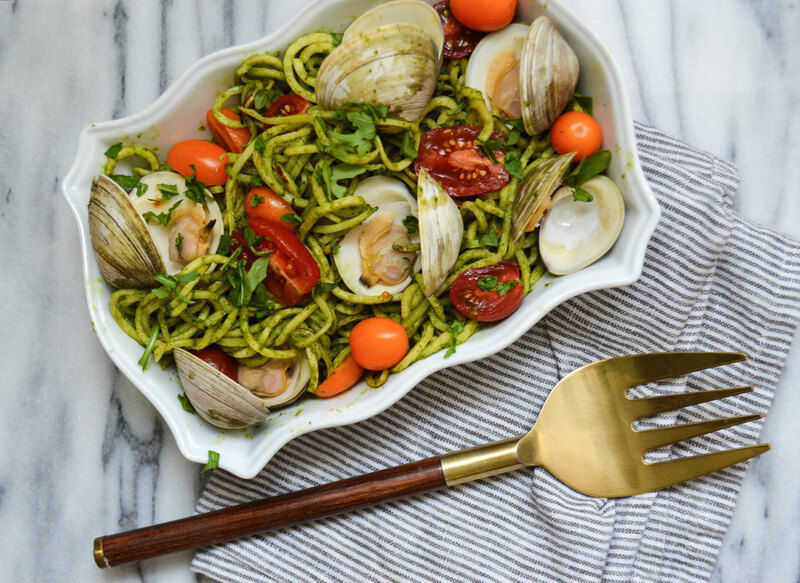 Finally, add your pesto and tomatoes to the noodles in a big bowl, and plate everything together with the clams. Happy chowing. Have a great weekend everyone!